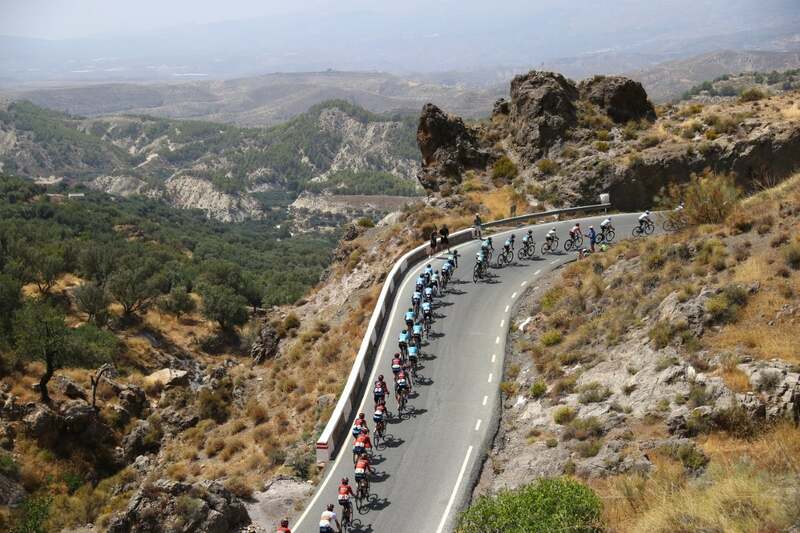 This route will provide a new opportunity for the sprinters in a stage where their teams will have to work very hard. 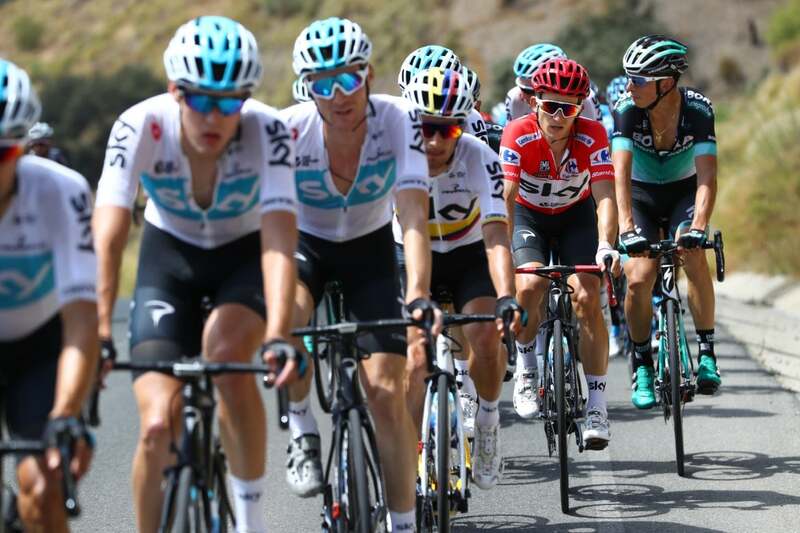 The category 2 climb, located 30km before the finish line, will break up the peloton and result in 70-80 riders finishing together as a group. 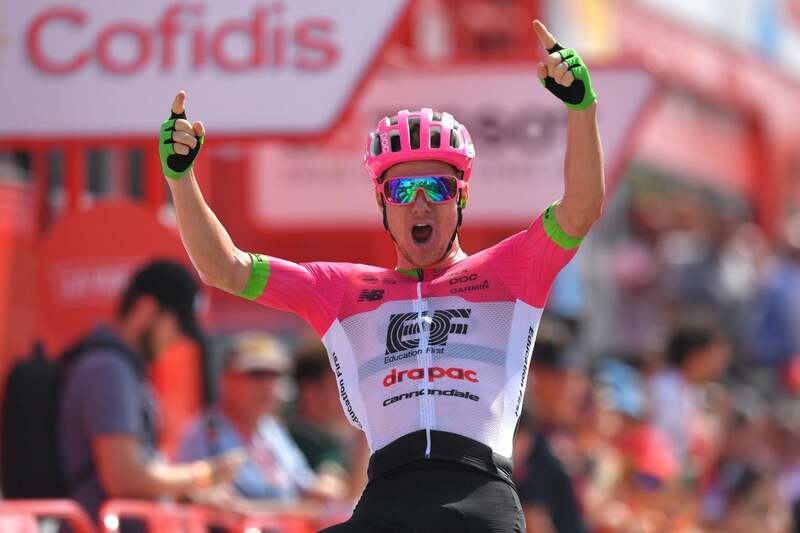 After going more than two years without a win, Simon Clarke sprinted to victory Wednesday in Vuelta a España stage 5. 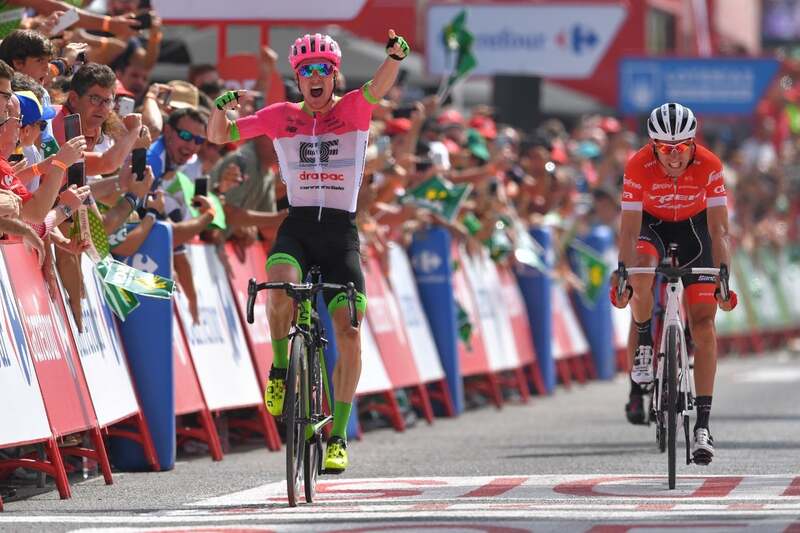 It was also the first WorldTour win of 2018 for his EF Education First-Drapac team. 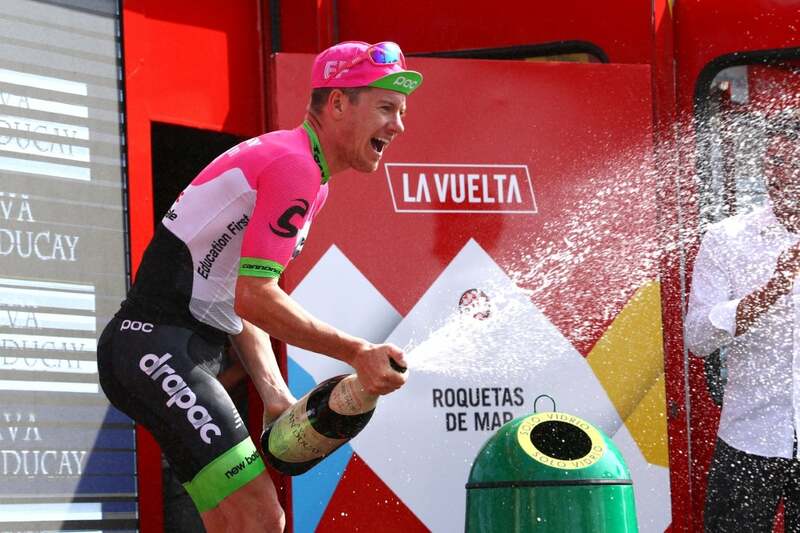 To earn that long-awaited victory, Clarke beat Bauke Mollema (Trek-Segafredo) and Alessandro De Marchi (BMC Racing), who were second and third, respectively. 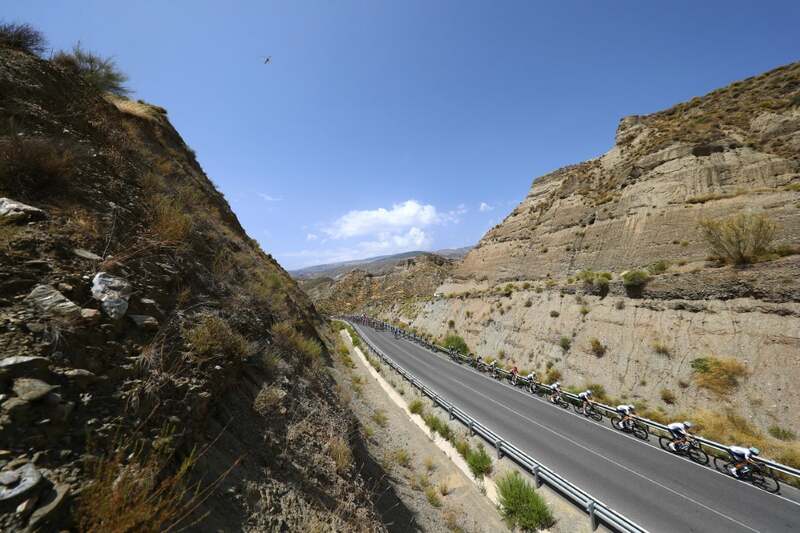 The trio had been part of an all-day breakaway initiated by De Marchi on the 188.7km race to Roquetas de Mar. 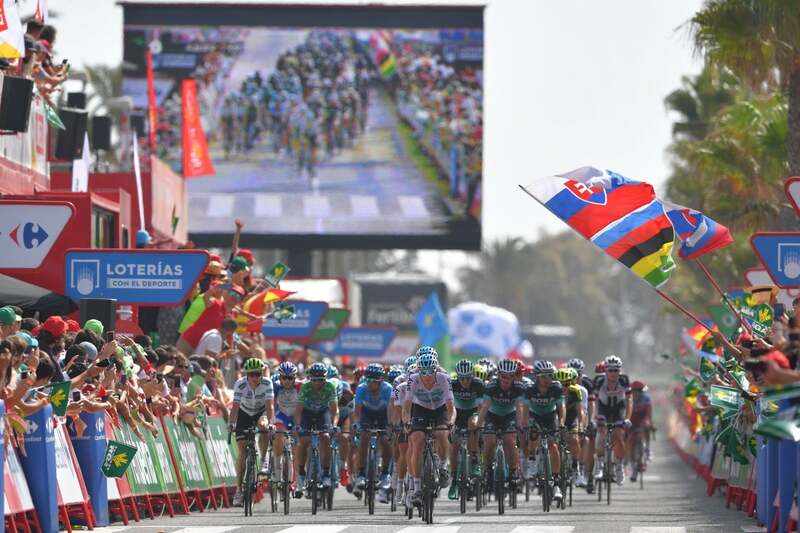 Finishing close behind, Rudy Molard (Groupama-FDJ) took the overall lead after Michal Kwiatkowski’s Team Sky let the break ride clear. 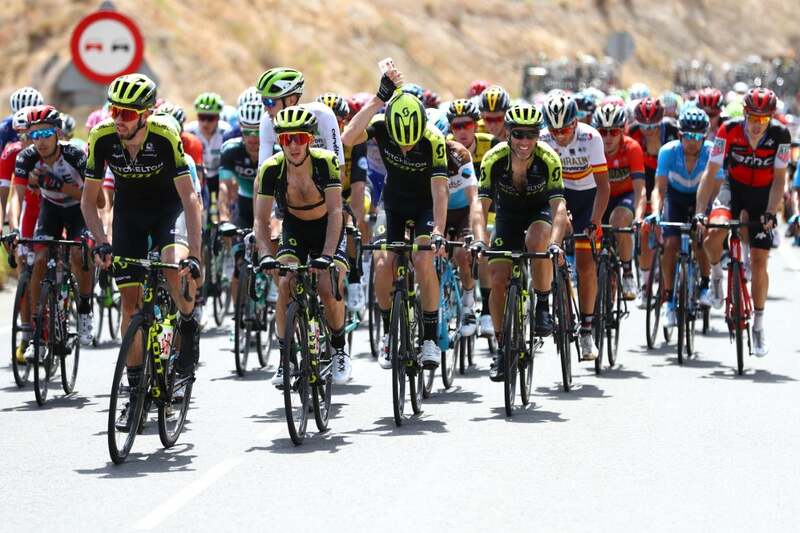 Clarke’s winning trio emerged from a large breakaway on the only categorized climb of the day, which topped out 26 kilometers from the finish. 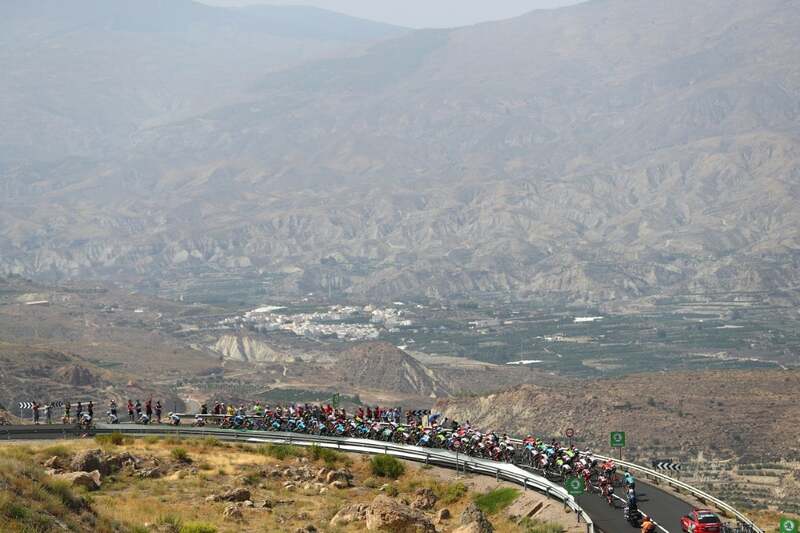 On that climb, Mollema nearly lost touch with the others when he got a flat tire, but he chased back to the front. 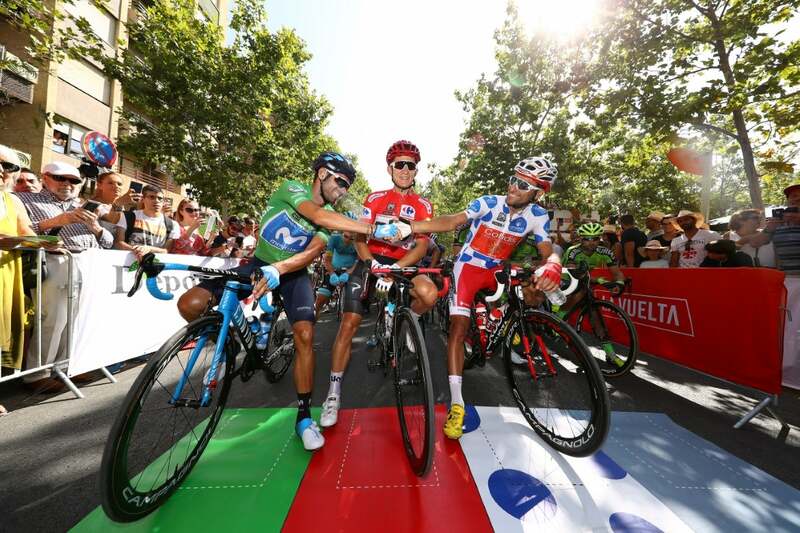 After the winning trio rode clear, Molard chased hard with Floris de Tier (LottoNL-Jumbo) and Davide Villella (Astana). 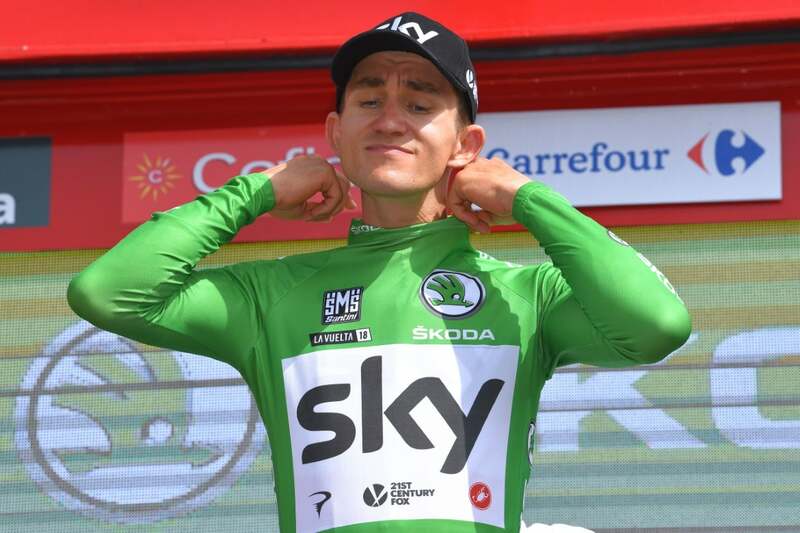 The Frenchman knew he had a shot at the red leader’s jersey if he kept his lead of close to four minutes on the peloton and Kwiatkowski. 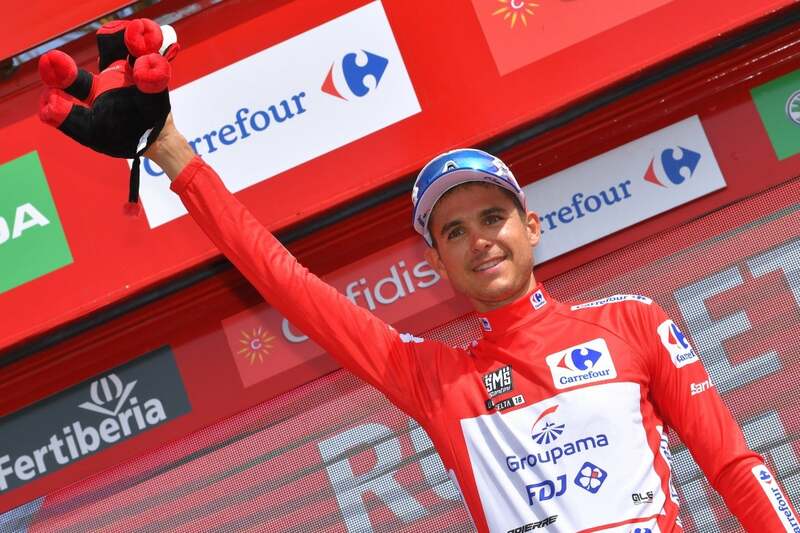 Sky’s Polish rider, who had led the race for three stages admitted it was bittersweet to let the red jersey go, but he kept the lead in the points classification. 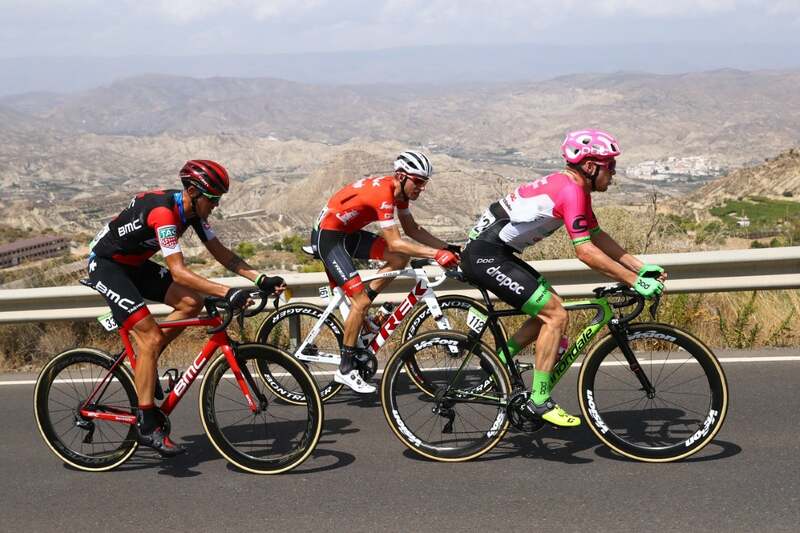 In the final few kilometers, the three leaders began to play games as Mollema and De Marchi both knew Clarke was the fastest of the three. Molard’s chasing group came dangerously close to bridging the gap, but it was too late. Clarke handily won the sprint and Molard got the overall lead as a consolation prize. 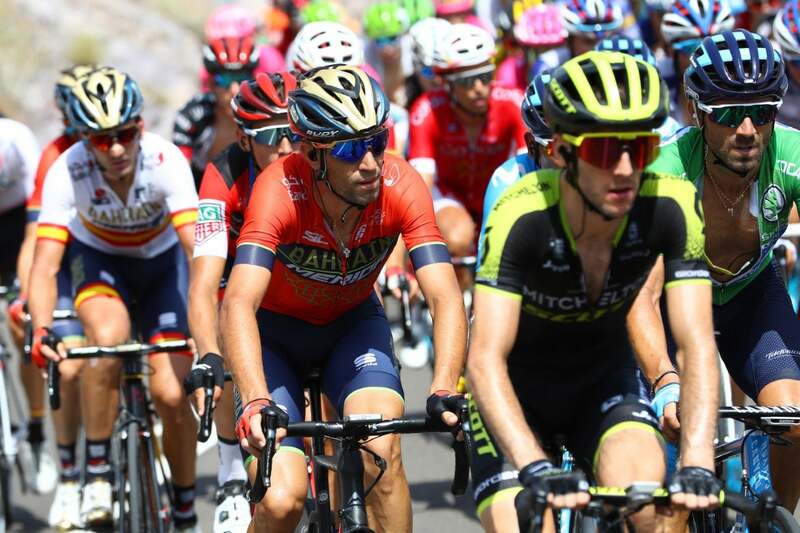 “It’s so rare that a Frenchman has the lead in a Grand Tour, let alone one in our team,” said Molard’s teammate Thibaut Pinot. Clarke said his experience on the velodrome contributed to his win although he was concerned Molard’s group would catch them from behind. “I grew up on the track since I was 15, and it was just like track racing,” said Clarke. 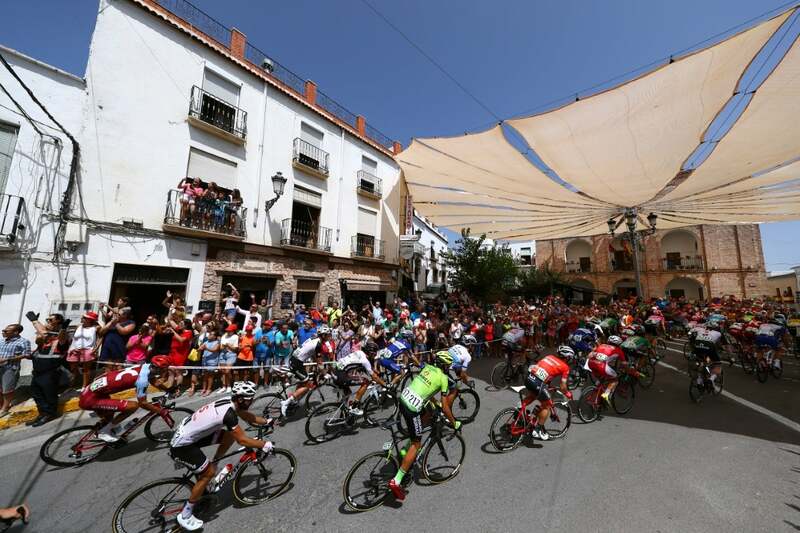 “I knew De Marchi was fast, but it’s such a long stage, so hard to sprint after that. 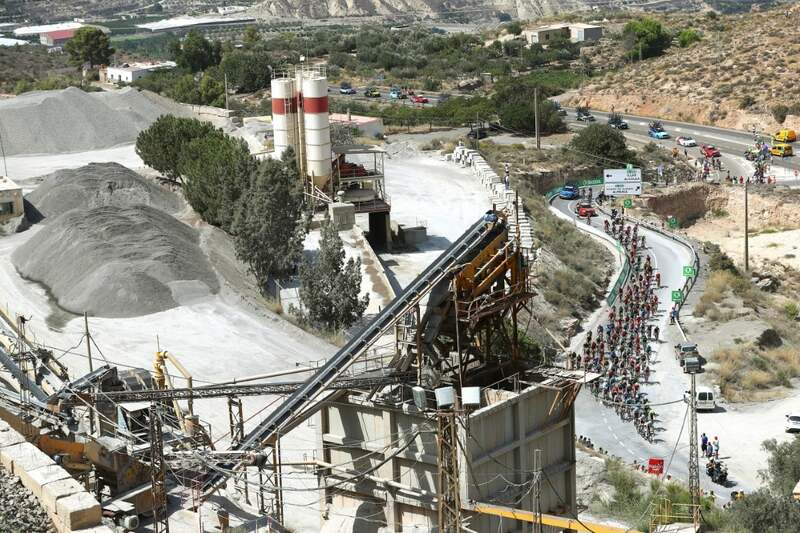 Even I was cramping after Mollema attacked, but I just rode through it.